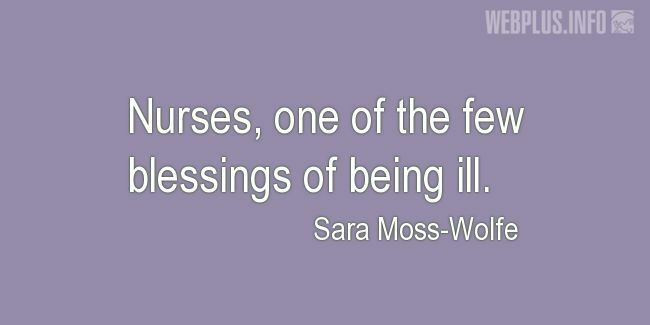 «One of the few blessings of being ill» illustrated quotation. Funny, free quote pictures for Facebook, Twitter, LinkedIn, Reddit, Pinterest and other social networks. Nurses, one of the few blessings of being ill.